Bryan Massey was born in Pontiac, Michigan but moved to Dallas, Texas. He went on to sign with a local agent and due to his unique gruff voice, Bryan was able to participate in his love of cartoons by doing voice over work for many anime shows and video games. 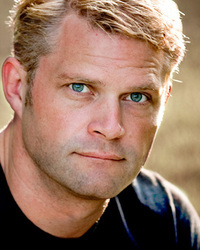 Bryan has booked several commercials and acted in many short films and independents. Bryan has also been able to go onto more prolific roles including playing Detective Brinkley, a cop in hot pursuit of Diane Keaton and Ted Danson in "Mad Money", as Skeeter, an oil man friend to Josh Brolin's portrayal of George W. Bush in Oliver Stones critically acclaimed "W" and can also be seen this February 2011 as Officer Lerma in the 3D thriller "Drive Angry" with Nicolas Cage and Amber Heard. Some of Bryan's well-known anime roles include Ladd Russo in Baccano!, Oolang in Dragon Ball Kai, Takuro in Linebarrels of Iron, Monkey D. Dragon in One Piece, Tenshiro in Rideback and Willie in To.